When ordering your album, you can choose between a variety of covers. 3) a leather back & spine with a photo on the front. *For Press Printed Albums (Options 1 &; 3) please tell us which image you would like to put on the cover. 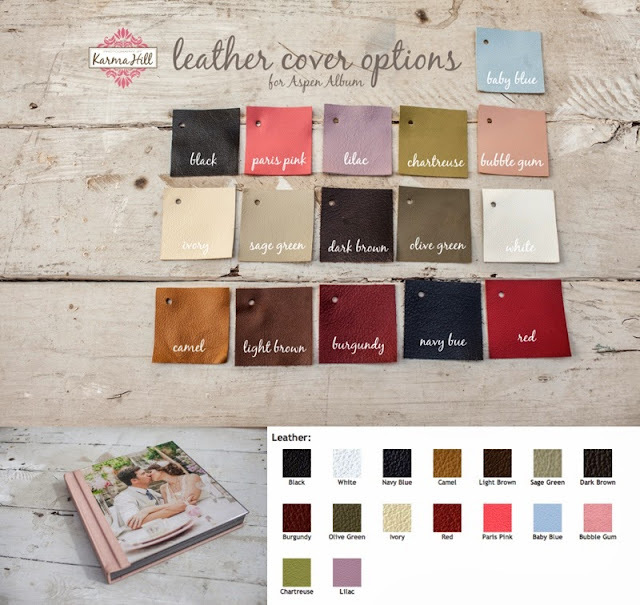 *For Press Printed Albums (Options 2 & 3) please tell us which color leather you would like. 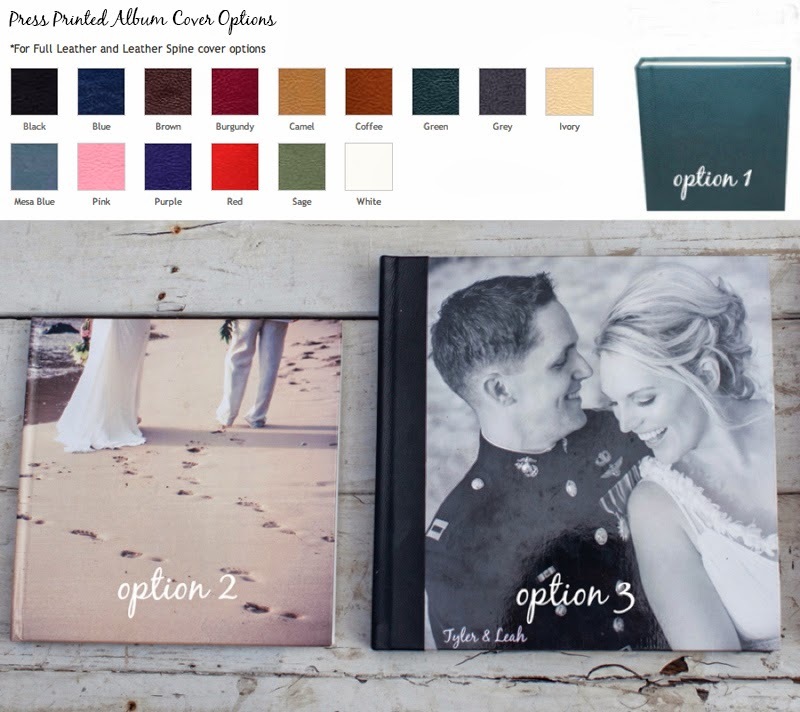 Luxury Aspen Albums (available for weddings) have an acrylic image on the front with leather on the spine and back. *For Luxury Aspen Albums, please tell us which color leather AND which image you would like to put on the cover. We can also add your names (and wedding date) to the front cover. 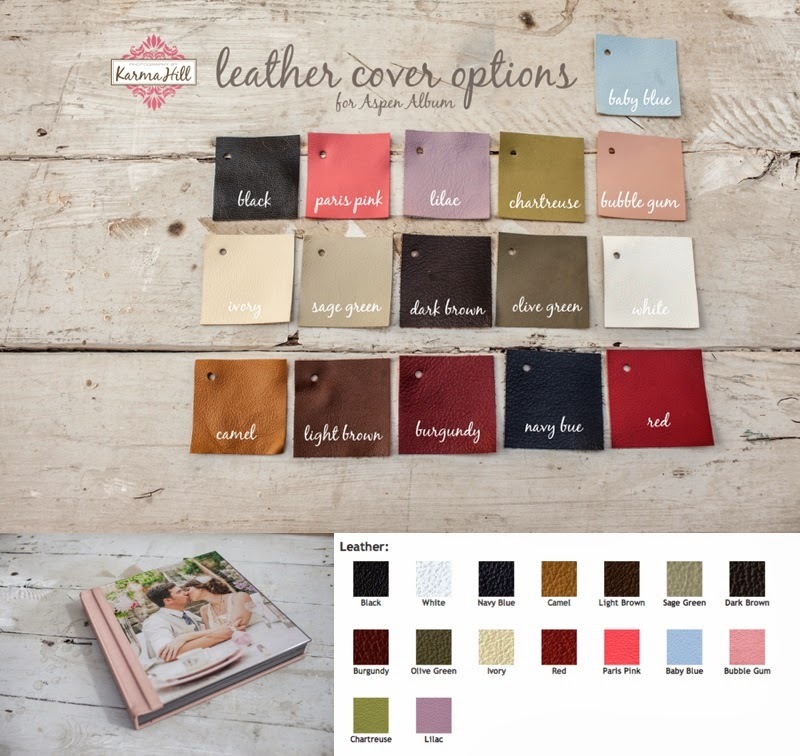 If you have a full leather cover, the words will be embossed into the leather on the front cover. If you have a photo on the front cover, we will add your text to the image digitally. let us know and we would love to answer any questions you may have.